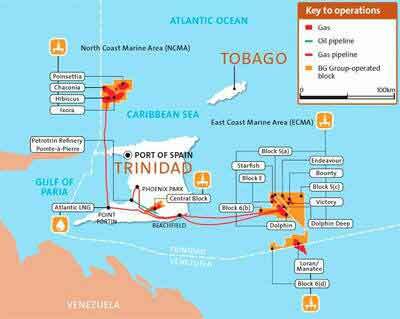 This week The Trinidad Guardian reported that Venezuela's deputy minister for hydrocarbons is leading a team that will travel to Port-of-Spain next week to finish the talks on the cross-border Deltana offshore gas field Loran-Manatee. Those negotiations have been running for more than 12 years. One could be optimist but according to Guardian's columnist Mark Wilson "From this side of the Gulf of Paria, these talks are top priority in the face of a stuttering gas supply. For Caracas, they're a sideshow. Venezuela looks close to dissolving into chaos. But on one front, all looks peaceful. There has been no move to stop ExxonMobil from drilling for oil in Guyanese waters claimed by Caracas, perhaps because China has a stake in that oil find. Guyanese oil may flow before gas from Loran-Manatee. Here the story in full from The Guardian plus a commentary from International relations expert Professor Anthony Bryant. The PW Editor are opinions of the web site editor.